In FIFA 17, the Pro Clubs have been changed with some new features compared to its predecessor. In the latest entry, you have to improve your players and earn as many skill points as possible. In this guide we will show you the new features as well as ways to get fast skill points. There are many things to consider when creating your own pros in pro club mode. The numerous innovations provide for more customization options. If you look for Custom Kits and Crests, you can now adjust this in the 2017 version of FIFA. Give your player traits that are important to his position on the field. In addition, you earn skill points with each game, which then spend on individual traits. In order to change the popular "Pro Clubs" mode, EA has listened to the FIFA fans' feedback. The new player development system provides individual features that are enabled with skill points. In addition, cooperation and teamwork are now more important. The overall assessment after a game depends on these two aspects. The development depends on your position in the field. Accordingly, the attributes are improved after a batch. If you play a striker, the values "shooting" and "tempo" will develop faster than with a midfielder. Skill points are obtained in league and local games. In the end, you convert them into traits. If you want more speed, for example, there is the right trait. If you want a higher rating from your player, you must show a good performance in the games. Unlike previous FIFA installments, you don’t have to perform any more to improve your attributes. The mode of Pro Clubs is no new. If you have already played a Pro in your predecessor, you can simply transfer it to the new season. If you still need to modify the player, you can do this in the FIFA 17 menu. Pay particular attention to the characteristics of your player. Size and weight are critical to your attributes. Also the play style is important and affects the attributes of the player. - If the player is tall, he is slow. However, his strength is head ball duel. - A striker in the center of the field should be big. - A player on the outer courses, on the other hand, should be smaller. Also reduces weight to create fast sprints. Change the values and always monitor the changes to the attributes at the bottom of the screen. There are 6 attributes that you can improve on your Pro. 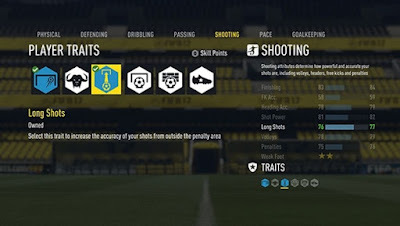 After you have started Pro Clubs, you receive 6 skill points as a reward. Choose here carefully and keep the preferred position in mind. You will not receive any bonuses in the EAS FC Catalogue, but you only have skill points and good performances in the games. Once you have found an online lobby, you need to quickly select your position. Remain in the role and leave it only in exceptional cases. If you are more often on other places on the road, diminish your rating. In order for your performance to rise steadily, you should not act sensitively and only advance to the goal. Play better in the team and fit the ball to your colleagues. - After a game you get your rating and see the progress of your player. If your performance is highly valued, the progress indicator fills up. If your rating is increased by 1, you also get a skill point. - You improve your attributes based on your played position. Be aware of your role in the field. - In order for your pro to improve all attributes, his position should be changed for each game. If you are a striker, you improve the shot strength or the finishing, in the middle, short and long passes are trained. The defense increases the two-player strength. - Watch out for Teamplay to earn more skill points.